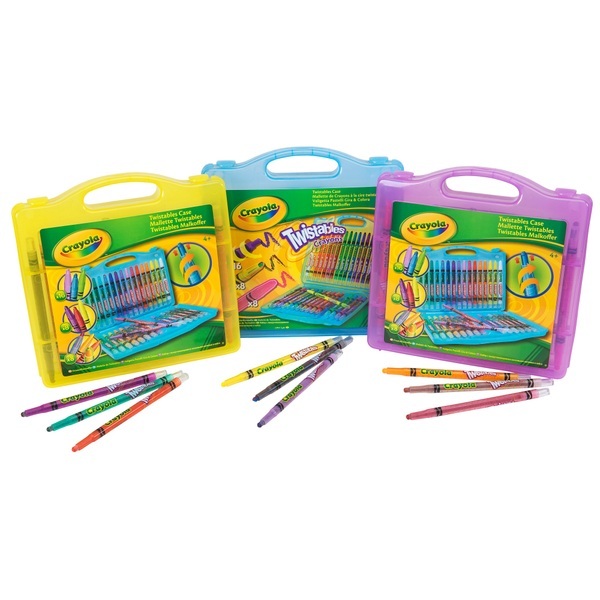 Crayola Twistable are wax sticks with an added twist! Simply twist the end of the barrel and you're ready to go. Crayola Twistable are wax sticks with an added twist! Simply twist the end of the barrel and you're ready to go. Contains 32 Twistable crayons including rainbow and neon colours and a super carry case.